The brand name of your medication is ALVOXAL® and the generic name is Oxaliplatin. 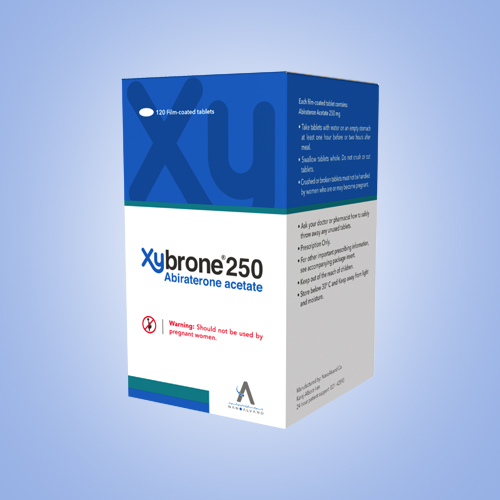 ALVOXAL® is available in two dosage forms of 50 mg per 10 mL and 100 mg per 20 mL. Each 1 mL of ALVOXAL® concentrate for solution for infusion contains 5 mg Oxaliplatin. This medication is a clear, watery, colorless and without any particles solution. 1 Why is ALVOXAL® prescribed? 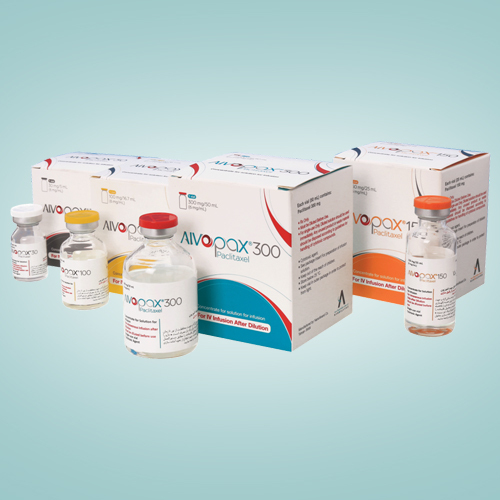 ALVOXAL® solution for injection is used with other medications for treatment of certain types of colon and rectal cancers. The use of ALVOXAL® has been approved only in adults. 2 How is ALVOXAL® given? This medication is injected into a vein through an IV (infusion) by health care providers. The infusion will take 2–6 hours. 3 What special precautions should you follow during your treatment with ALVOXAL®? Your disease and the medication used to treat, can lower blood cells, so it is necessary to do regular blood test to continue the treatment. ALVOXAL® can cause severe or life threatening allergic reactions that required immediate medical intervention. Tell your caregiver right away if you feel dizzy, short of breath, confused, sweaty, itchy, or have diarrhea, chest pain, warmth or redness in your face, or feel like you might pass out. Do not receive any kind of vaccination without your doctor’s approval while taking ALVOXAL®. Avoid coming into contact with anyone who has recently received a live vaccine. If it is not possible, wear a mask and cover your nose and mouth. Avoid contact with people who have colds or other infections. Tell your doctor right away if you develop a fever, chills, cough or hoarseness, painful urination, pain or swallowing. take cation while using sharpe devices like electris razor or nail clipper, also while you are brushing your teeth or using dental floss or tooth picks. Avoid exercise in which there is a risk of injury or bruising. Tell your doctor or dentist before you receive any dental care. Tell your doctor right away if you experience a dry cough, or trouble in breathing or shortness of breath. These can be signs of a serious lung disease. Tell your doctor right away if you experience a burning, numbness, pain or tingling in the arms, hands or feet, these can be signs of condition called sensory or peripheral nerves damage. Exposure to cold temperatures or cold objects may make these symptoms worse. Tell your doctor right away if you experience sever or sudden headache, fainting, seizure, unusual tiredness or weakness, confusion, and vision changes. These can be signs of a reversible brain syndrome. ALVOXAL® can induce blurred eyesight or other reversible vision changes. Avoid driving and doing other tasks or actions that call for you to be alert. Tell your doctor right away if you experience upper abdomen pain, pale stools, dark urine, loss of appetite, nausea, unusual tiredness or weakness, and yellowing of the skin or eyes. These can be signs of a serious liver disease. Some medicines may be given to you by your doctor before ALVOXAL® to help prevent nausea and vomiting. During the ALVOXAL® injection there might be possibility of drug leakage out of the blood vessels, causing pain and inflammation in the injection site. In the case of this complication, ALVOXAL® administration should be discontinued immediately and appropriate therapy applied topically. If you feel unconscious or any change in heart beat also chest pain, inform your doctor immediately. It could be sign of a serious heart problem. If you feel pain or swelling in your muscles, general fatigue, fever or urine discoloration (red to brown), contact your doctor immediately. This could be sign of a serious side effect called Rhabdomyolysis. If you are a male, treated by Alvoxal®, your partner should use a safe birth control method during and 6 months after medication. Consult with your doctor before taking medication contains Aspirin, blood thinners, garlic, Ginseng, Gingko, Ibuprofen, pain killers or Vitamin E.
4 What would be the possible side effects of this medication? Like all medicines, ALVOXAL® can cause side effects although not everybody gets them. The severity of side effects can be more or less depending on the type of disease, drug dose, liver function, and other medications used simultaneously for you. This is not a complete list of all side effects of ALVOXAL® that may occur. For more information, ask your doctor or pharmacist. Fever, fatigue, headache, insomnia, nausea, vomiting, diarrhea, abdominal pain, constipation, decreased in appetite, mouth ulcers, low blood cells, peripheral nervous system disorder, back pain. Some of biochemical parameters (including liver parameters, blood sugar level, blood sodium and potassium) may be changed. Chest pain, flushing, clot formation, edema, dizziness, hair loss, dyspepsia, bloating, gastroesophageal reflux, pain on swallowing, joint pain, increased tear production, runny nose, sore throat, allergic reactions (hives, itching, face flushing, trouble breathing or talking, tightness in the chest or throat, sweating, low blood pressure, and syncope). Sever kidney failure, Increase in Akaline phosphatase, anaphylactic shock, Angioedema, Loss of ability in talking, loss of control In body movement, deafness, Colitis, double vision, Eosinophilic pneumonia, blood in urine, Hemolytic anemia, bleeding, liver dysfunction or failure, sinusoidal obstruction syndrome of liver, increase in blood pressure, decrease of magnesium in blood, Hypoxia, brain hemorrhage, Metabolic acidosis, neutropenic fever, neutropenic sepsis, irreversible leukoencephalopathy Syndrome, Rhabdomyolysis, Seizure, Thrombocytopenia, Trigeminal pain. 5 What is the storage condition of ALVOXAL®? Store ALVOXAL® between 15°–30°C before dilution. Do not freeze and protect from light (keep in original outer box). ALVOXAL® dilution must never be performed with a sodium chloride solution or other chloride-containing solutions. Diluted solution should be used immediately due to the risk of microbial contamination. ALVOXAL® should never be used after the expiration date printed on the packaging. Keep the medication out of the reach of children. • Adjuvant treatment of stage III colon cancer in patients who have undergone complete resection of the primary tumor. OXALIPLATIN Injection should be administered under the supervision of a qualified. physician experienced in the use of cancer chemotherapeutic agents. Appropriate management of therapy and complications is possible only when adequate diagnostic and treatment facilities are readily available. Administer OXALIPLATIN Injection in combination with 5-fluorouracil/leucovorin every 2 weeks. For advanced disease, treatment is recommended until disease progression or unacceptable toxicity. For adjuvant use, treatment is recommended for a total of 6 months (12 cycles). Day 1 - OXALIPLATIN Injection 85 mg/m2 intravenous infusion in 250-500 mL 5% Dextrose injection and leucovorin 200 mg/ m2 intravenous infusion in 5% Dextrose injection, both given over 120 minutes at the same time in separate bags using a Y-line, followed by 5-fluorouracil 400 mg/m2 intravenous bolus given over 2-4 minutes, followed by 5-fluorouracil 600 mg/m2 intravenous infusion in 500 mL 5% Dextrose injection (recommended) as a 22-hour continuous infusion. Day 2 - Leucovorin 200 mg/m2 intravenous infusion over 120 minutes, followed by 5-fluorouracil 400 mg/m2 intravenous bolus given over 2-4 minutes, followed by 5-fluorouracil 600 mg/m2 intravenous infusion in 500 mL 5% Dextrose injection (recommended) as a 22-hour continuous infusion. 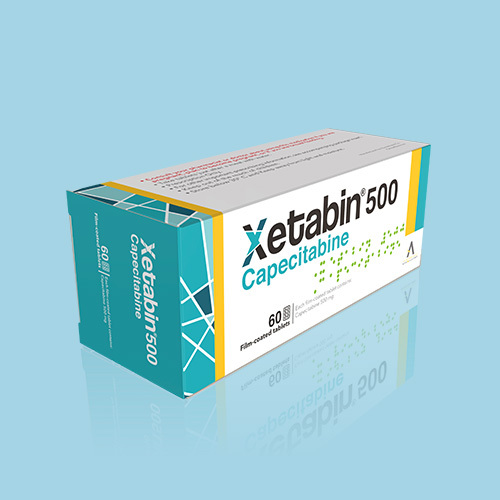 The administration of OXALIPLATIN Injection does not require prehydration. Premedication with antiemetic’s, including 5-HT3 blockers with or without dexamethasone, is recommended. Do not freeze the concentrated solution and protect it from light. A final dilution must never be performed with a sodium chloride solution or other chloride-containing solutions. The solution must be further diluted in an infusion solution of 250-500 mL of 5% Dextrose Injection. After dilution, the solution must be used immediately, after final dilution, protection from light is not required. OXALIPLATIN Injection is incompatible in solution with alkaline medications or media (such as basic solutions of 5-fluorouracil) and must not be mixed with these or administered simultaneously through the same infusion line. The infusion line should be flushed with 5% Dextrose injection, prior to administration of any concomitant medication. Parenteral drug products should be inspected visually for particulate matter and discoloration prior to administration and discarded if present. 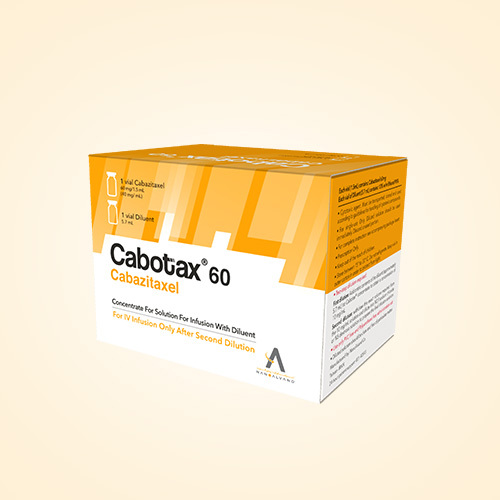 Needles or intravenous administration sets containing aluminum parts that may come in contact with OXALIPLATIN Injection should not be used for the preparation or mixing of the drug. Aluminum has been reported to cause degradation of platinum compounds. Stable in D5W; incompatible with alkaline solutions (eg, fluorouracil) and chloride containing solutions. Flush infusion line with D5W prior to, and following, administration of concomitant medications via same I.V. line. OXALIPLATIN Injection should not be administered to patients with a history of known allergy to OXALIPLATIN Injection or other platinum compounds. Based on direct interaction with DNA, OXALIPLATIN Injection may cause fetal harm when administered to a pregnant woman. There are no adequate and well-controlled studies of OXALIPLATIN Injection in pregnant women. If this drug is used during pregnancy or if the patient becomes pregnant while taking this drug, the patient should be apprised of the potential hazard to the fetus. Women of childbearing potential should be advised to avoid becoming pregnant and use effective contraception while receiving treatment with OXALIPLATIN Injection. It is not known whether OXALIPLATIN Injection or its derivatives are excreted in human milk.